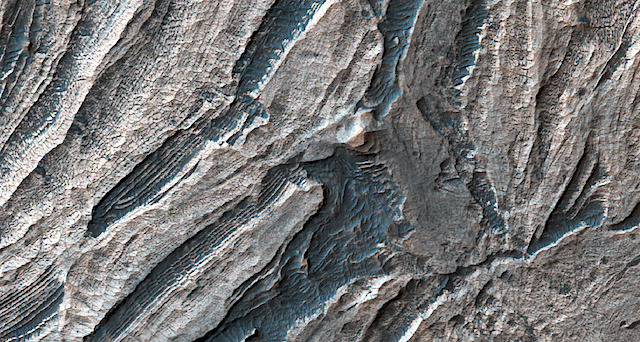 Layering and faulting in layered deposits in Candor Chasma. This observation was a last minute one done as nadir-only, meaning when the camera is pointing straight down at the surface, as opposed to an angle when we want to create a stereo pair. This entry was posted in Reports and tagged Beautiful Mars, Candor Chasma, faulting, High Resolution Imaging Science Experiment, HiRISE, interior layered deposits, layered deposits, Mars Reconnaissance Orbiter, MRO, NASA, tectonics, University of Arizona. Bookmark the permalink.